Some days ago a question in stackoverflow.com was made, about how list the contents of a folder of a remote machine. I answer that question using a WMI approach mentioning the CIM_DataFile and CIM_Directory WMI Classes, these classes can be used to retrieve information about files, folders and perform many task like copy, rename, delete and compress. So today I will show you how you can use these classes form Delphi. 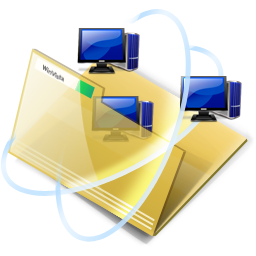 First you must know which in order to access any file or folder in a remote machine need not be a shared resource, only just must enable the WMI remote access in the machine to access, check these articles for more details about how enable the remote wmi access. 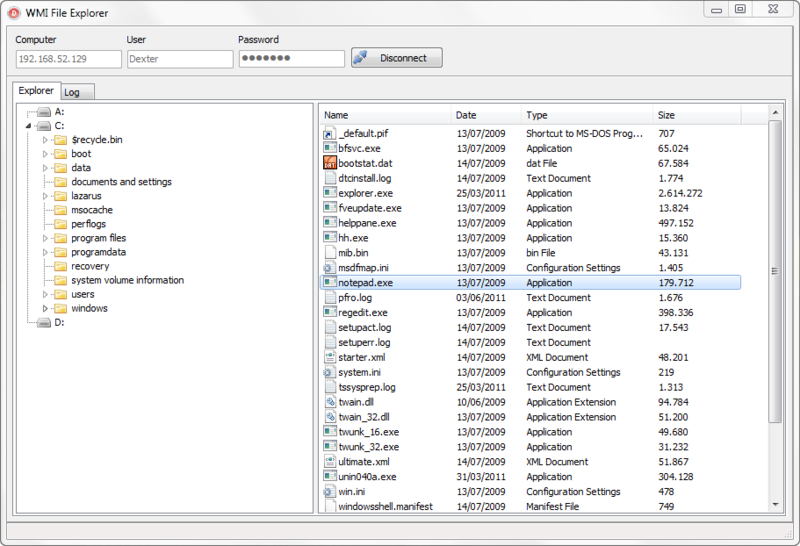 After of enabling the WMI remote access in the client machine you are ready to access the files and folders. When you make a WMI query against these classes always you must use filters (Where conditions) to restrict the result of these WMI classes. Always you must use the Drive field as condition, due to two reasons, first these classes will scan all directories on any available storage device. So this task can take some time. and second to diffentiate for example a folder called Windows located in the Drive C: and in the Drive D:. The Wmi interprets the \ (Backslash) character as a reserved symbol so you need to escape that character to avoid problems with the WQL sentence. The code showed in this article uses Late binding to access the WMI, if you want use another way to access the WMI from delphi (like direct COM access or importing th e Microsoft scripting library) take a look to the Delphi WMI Code creator. which you must note is the WbemTimeToDateTime function, this is a helper function to convert the returned WMI datetime values in UTC format to TDateTime. This is the code of that function, for more info check the documentation about the WbemScripting.SWbemDateTime object. Grants the right to read data from the file. For a directory, this value grants the right to list the contents of the directory. Grants the right to write data to the file. For a directory, this value grants the right to create a file in the directory. Grants the right to append data to the file. For a directory, this value grants the right to create a subdirectory. Grants the right to read extended attributes. Grants the right to write extended attributes. Grants the right to execute a file. For a directory, the directory can be traversed. Grants the right to delete a directory and all the files it contains, even if the files are read-only. Grants the right to read file attributes. Grants the right to change file attributes. Grants read access to the security descriptor and owner. Grants write access to the discretionary ACL. Synchronizes access and allows a process to wait for an object to enter the signaled state. checkout the full source code on Github. Categories: Delphi, WMI | Tags: Delphi, WMI | Permalink. Is is possible to copy file from local to remote (or reverse) using WMI, but without using remote/local share connections? Krystian, This is not possible directly. because each WMI connection runs over a single machine. so each operation must be done in the connected machine. The only option which come to my mind now is use the WMI (or ADSI) to create a temporal shared network resource in the remote machine. then copy from the local machine using the UNC path and a standard windows copy file function. finally remove the temporal shared using WMI (or ADSI). The TreeViewFolders do not show the expansion glyph |> unless a node is selected. How do you show the glyph for all nodes that have children? William the demo app load only the root folders and when you select a specified folder the content is read (and the arrow is shown and stays). I don’t understeand what you mean with “How do you show the glyph for all nodes that have children?” please explain. No expansion glyphs are shown (right triangle on its side or arrow) used to be a + in older windows versions. Each node should have a expansion glyph for each node that has children just like windows explorer does. TIff – this folder does not have any children so no glyph. Where |> is the expansion glyph. These “arrows” should be visible after the Treeview is filled for folders that have children. I have tried for hours to figure this out but the glyphs only appear after you select a folder with the mouse. If you do not select a folder there is no glyph shown even though the folder has children. “when you select a specified folder the content is read (and the arrow is shown and stays).” – yes this is true, but the folders should show the arrow even if not selected to show the folder has children. I can not even get ExpandAll to work with the demo amoungst alot of other things I have tried. Thanks for your help. I expanded your demo to do copy, rename, delete, compress and uncompress and to display folder and file info in your pagecontrol with a listview. If you email me your address I can send you what I have. Delphi 2010 project. I also tried adding a coulmn to show if a file was compressed, but I removed it because it slowed sown things alot. Right now Compressed: Yes/No shows in the status bar when you select a file. Do you know why FWbemObject.Name always is lowercase? Exactly, is to keep the flow of the application faster and responsive. About your question I don’t know the reason why the CIM_DataFile and CIM_DataDirectory classes returns the value of the Name property in lowercase. Just remove the uStackTrace unit from the project, and will work just fine.